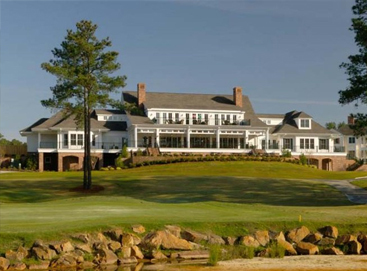 Located just minutes from the historic village of Village of Pinehurst, North Carolina, the Mid South Club is one of the Carolinas most attractive private residential golf communities. Five hundred forty five acres of longleaf pine forests, lakes and gently rolling hillsides provide a backdrop for a place of beauty and serenity. The Mid South Club Arnold Palmer signature golf course offers it's members a challenging yet enjoyable championship layout on which to test their skills. We invite you to explore all that the Mid South Club and the Village of Pinehurst area have to offer. From the back tee, a player must drive 225 yards to reach the fairway. Mid South Club has 11 acres of bunkers. 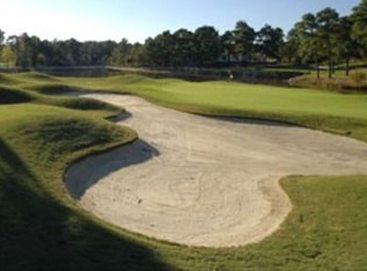 Don't forget your sand wedge for the 14th hole, which has plenty of sand traps and bunkers.